In business, programs, products and services do not always go as planned. As a leader, you are going to have to manage people and situations when things do not go as planned; it’s inevitable. (1) Your emotional outlook. Do not take your frustration out on others. Stay calm and focused on a solution or resolution to the problem or challenge at hand. 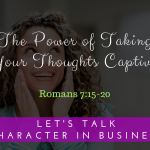 Difficult situations provide an opportunity to show God at work, and makes others want to know more about Jesus, when you are self-controlled and self-disciplined in your actions (see 2 Timothy 1:7). 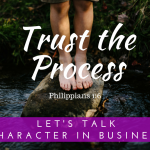 (2) Your faith that if you stay the course and continue to model Christ-like character traits, the ultimate solution will be one that glorifies God, serves people, and contributes to building wealth. Know that getting to the ultimate solution may not be fast or easy, but if you continue to operate with integrity, things will eventually work out in your favor. (3) Your decision to believe that you are covered by the extraordinary power of God, who is able to use all things for His glory and your good. God can and will show up and show out on your behalf, even in the most perplexing situations. When things in business appear to be going array, do not despair. Ask God for the solution that gives him the most glory, while helping the most people and providing you with opportunities to build wealth that are beyond what you can even imagine. He will answer. 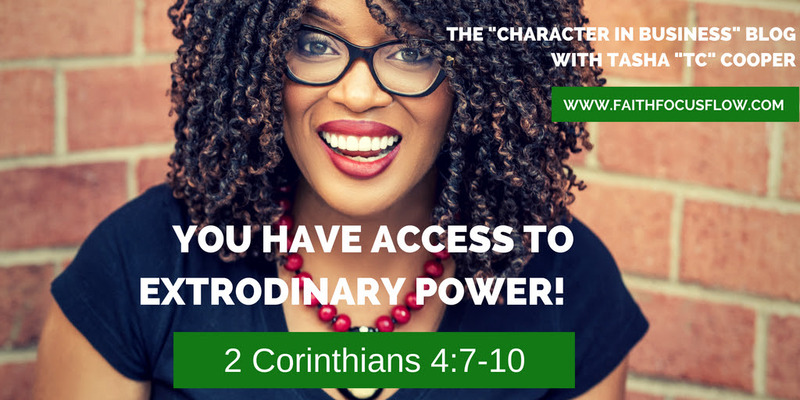 Never forget that you have access to the extraordinary power of God, through which all things are possible. God is able. Trust and believe. It’s my prayer that this message is a blessing to you. If you need help aligning your actions in business with your desire to serve God in business, hit reply to let me know. I’d love to help.